The three-step End-to-End program is providing God’s Word to people in Africa. From genocide to civil war to persecution, Central Africa is a region of broken people. But God’s Word is bringing healing and hope to people of all ages, even in the most difficult of circumstances. An effective tool for communicating the healing love and grace of God, End-to-End is a three-step program that introduces hurting people to Jesus Christ and that gives people the opportunity to grow their faith through God’s Word. Step 1: Introduce people to the gospel by showing The Jesus Film in local villages. Step 2: Organize Audio Bible listening groups to help them learn more about God. Step 3: Continue engaging believers in Scripture by providing a Bible to those who can read and who have listened to at least 60 percent of the New Testament. 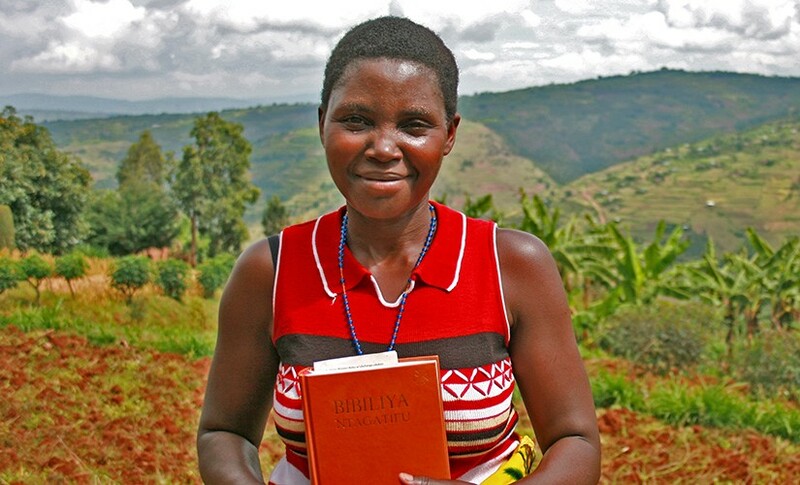 This effort is transforming lives by equipping new followers of Jesus with God’s Word. 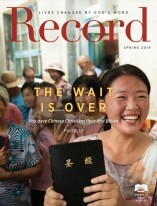 A 66-year-old woman who is blind was also thrilled to finally have access to Scripture through the End-to-End program. She is part of an Audio Scripture listening group at her church in Gabon. The gifts of American Bible Society financial partners are making it possible to engage hurting people with God’s Word in Rwanda, Gabon, and across Central Africa. Bible-based trauma healing is bringing God's love to one of the most war-torn places on the planet. Christians in Ghana and across West Africa are desperate to know him.